YOUR EXCLUSIVE SPACE IN LUSH GREENERY..
Another great investment! Do not miss! Previewing Early June 2011! !Call/ Sms Jay Choong (+65) 90051250 OR email to jaychoong88@gmail.com to register your interest NOW! More information on the exciting development of the Jurong Lake District into the Regional Commercial and Leisure Hub can be found at http://www.ura.gov.sg/MP2008/Jurong/video.htm. - Located within Tiertiary Education Hub and close to renowned educational institutions like Nanyang Technological University, Singapore Polytechnic etc. -Near local attractions such as Singapore Science Centre, Singapore Discovery Centre, Jurong Birdpark etc. ♦ Cluster housing: Best of both worlds. Landed and condo lifestyles. ♦ Scarcity; limited supply for landed property land. One & only in Westwood. 32 bids for The Woods. Lower supply = Higher demand. 150 developers bid aggressively for 14 land parcels at Sembawang Greenvale. ♦ Modern, well designed homes. External facade consistency. ♦ Gated-community coupled with security. Safety. Privacy. Property Management. ♦ Nestled within private homes enclave. ♦ Spacious 3-storey strate house with basement carpark, courtyard, family and attic. 4003sqft - 5511 sqft. Basement carpark; confirmed lots. Guest room with courtyard. Living, dining, yard, all on one level. Bedrooms segreated to leel 2 and 3, more privacy. Family area on attic level with roof terrace, allow for family activities. ♦ Strong demand due to location. Near to the upcoming Jurong Lake District. With 750,000sqm of commercial space & 2500 ha of industrial land to be developed over the coming years under Jurong Lake District. It will become the major business district/ commercial centre in the West. Government agencies such as MND, AVA and BCA are already scheduled to relocate their offices by 2015. 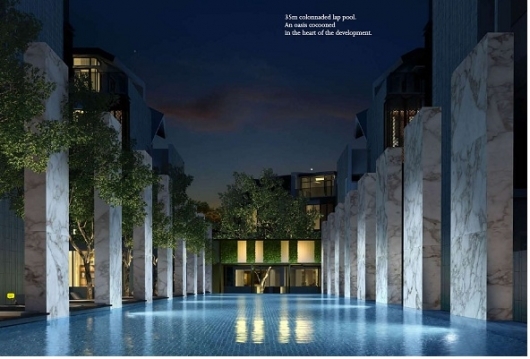 ♦ Catchment of more than 1 million residents in Jurong and its surrounding towns. With 40,000 new jobs expected to be created from JLD, there will be increase in demand for housing. With the increasing commercials/ offices in Jurong area, demand for housing will remain strong for the area. With a lack of new pipeline developments coming up in the near future, supply of units in the locality are limited. Limited supply apprecation -> increased demand -> potential price. ♦ Landed properties generally offers the most upside for capital appreciation among residential properties. Attractively priced from $4xx PSF!! Brochure and Floorplans available upon request. Wait no more! Call/ Sms Jay Choong (+65) 90051250 OR email to jaychoong88@gmail.com to register your interest! Why buy from me ? There are so many agents marketing THE WOODS and all agents will get the same purchase price as the price is controlled by the developer. Because I stay in jurong west and is very familiar with Jurong west, I will be able to explain the pros and cons of THE WOODS and help u make a more informed decision" ) look forward to hearing from you.